Nice black cherry hue with some heft to the pigmentation. Aromas of a deep, intense melange of spices, deep licorice and fruit with forest floor and more evergreen--WOW! 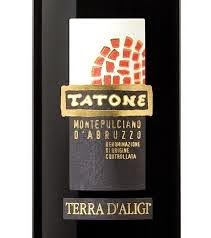 Palate--supple tannins with delicious dark berries, rich textured with a finish that is tart and mouth watering. I paid $12 for this wine marked down from $16. At $16 this would have been a nice wine; at $12 it's a buy more kind of wine! Buy and raise a glass!! !